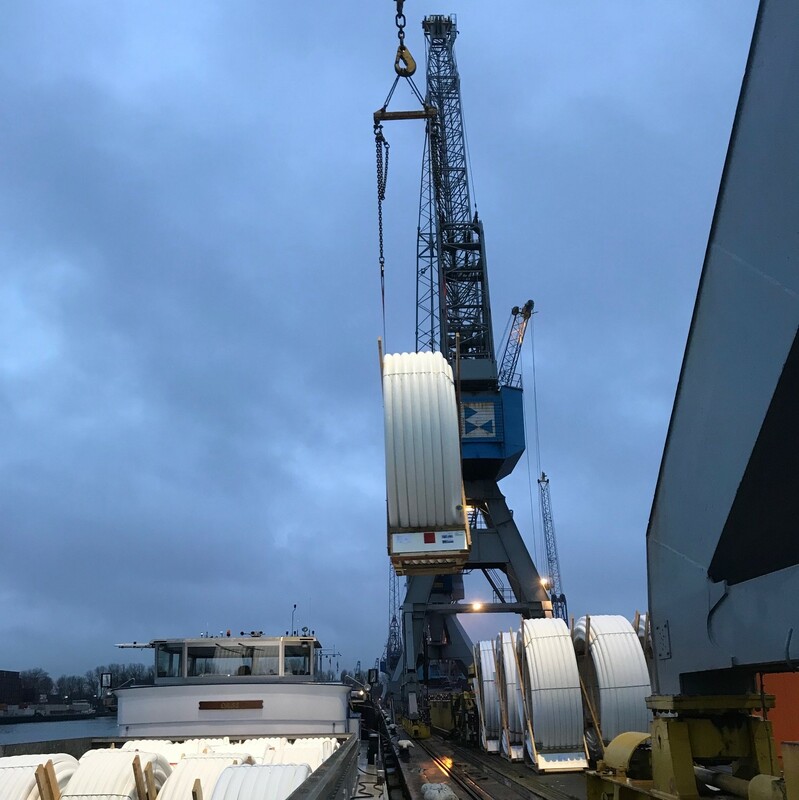 Broekman Project Services recently handeled two projects for Soluforce/Pipelife, at our own Breakbulk terminal in the Port of Rotterdam. The job was divided into two projects to Sohar in Oman. About SoluForce® , a Dutch based company that is the originator and leader in the research, development, manufacture and installation of Flexible Composite Pipes, or socalled 'Reinforced Thermoplastic Pipes'. www.soluforce.com. Broekman Project Services, Broekman Logistics specialises in providing customised logistics solutions for producers and distributors of breakbulk freight. Again, Broekman Logistics has proven to be a reliable, experienced and punctual logistics provider, handling this project from A to Z.